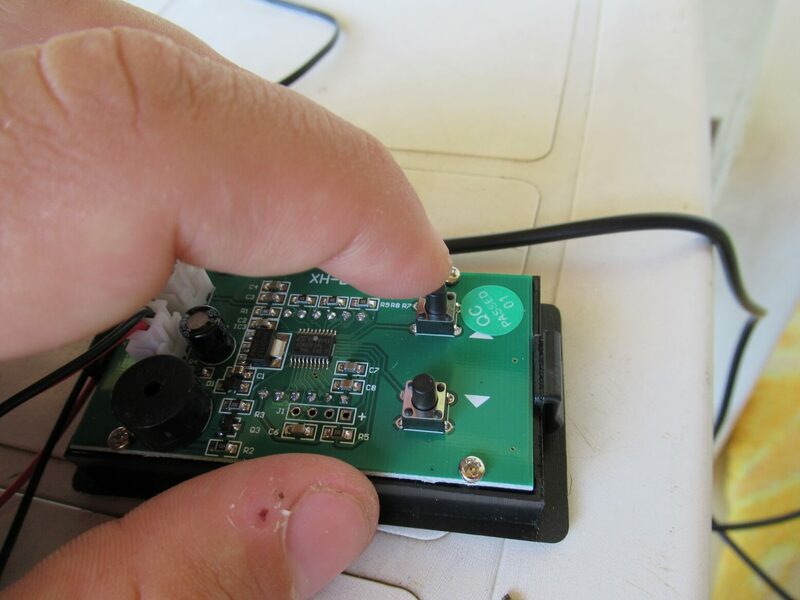 If you want to buy an accurate thermometer with a sound alarm ,check out the BT305 model.Here are the experiences and all the necessary technical data. Now I am describing my experience with the digital thermometer with alarm, I tested about 53 pieces of this product and only 1 did not work properly (alarm buzer did not work).The other pieces have 2 years of operation.In the review, I will describe the pros and cons of this thermometer. 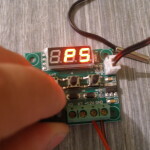 Is is an accurate thermometer which responds quickly to temperature changes,I have good experience with him.Suitable if you do not set the alarm too often (If placed in panel). 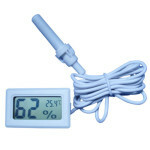 The thermometer can be used for measuring and signaling temperature in refrigeration equipment such as refrigerators, cooling boxes, fans, incubators, incubators, 12V applications, for cars. 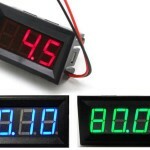 The display is red,gren and blue LED digits, it shows three digits four.clearly shows the temperature value withe the one decimal place. 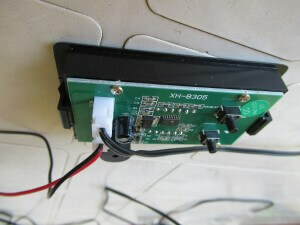 Temperature sensor s at the end of 1m long cable,probe is type NTC B3950-10K and is watterproof. The alarm sound sounds when the set temperature is exceeded either the upper limit or the lower limit that you can set. 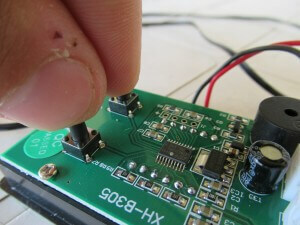 The alarm provides a piezo at the back of the printed circuit board. The maximum value you can set is 120°C this value is set as the default value, press the “Up Arrow” for 2 seconds to change high temperarture for alarm. 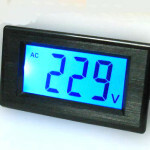 Subsequently, the instrument on the display instead of the measured temperature will indicate the alarm temperature of 120°C. 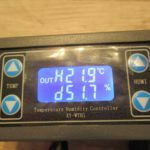 Set the desired temperature, for example, 37.5°C. To confirm it does not need to press anything after 3 seconds, the value is saved. Setting the lowe temperature alarm is similar to pressing the down arrow to show -60 °C the lowest possible temperature you can set on the thermometers and at the same time it is the default temperature. Use arrows to control the temperature, for example, set 32°C. If the temperature drops below 32°C the thermometer will trigger the alarm. For the alarm I set 35 degrees again after setting the button I will release. The minimum gap between the upper and lower alarm is 5 ° C.
It is necessary to get it into the no-alarm state or the temperature that is from the alarm, then the temperature can again rise / fall to the alarm values ​​when it will blink and beep. Press the two control arrows once for 2 seconds, allowing the device to adjust the calibration temperature. Then increase the temperature with the high arrow, lower the temperature by lowering the arrow.Calibration is accurate, you can increase accuracy after 0.1°C steps. 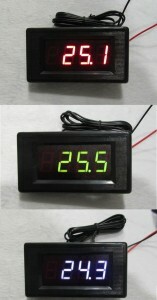 For 110V or 230V use transformer to 12V DC .. All 12V DC power supplies is ok thermometer hat only 18mA power consumption. Measuring range: -60 ~ 125? 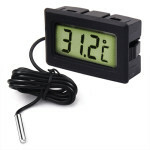 Temperature probe: B3950-10K, waterproof sensor ,wire length 1m. Long press up switch to set high temp valve,long press down switch to set low temp.hold up and down switch at the same time to correction temp.and the setting valve are retained when power cut off. 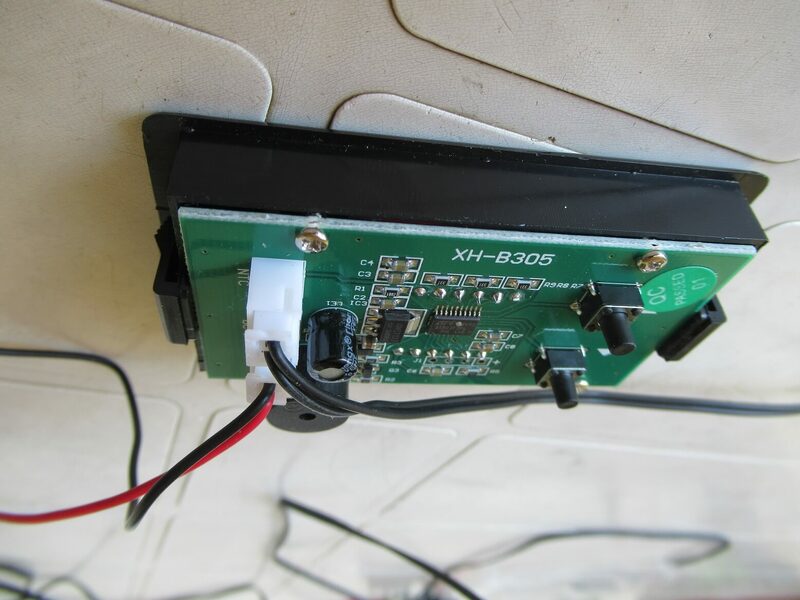 It will alarm when measuring temp reach to the setting value. Thank you so much for your review and detailed explanation. I ordered 1 unit, But I can’t seem to set the alarm temperature. I press for 4 seconds for the up or down temp to appear, But when I press a key to set it, It just disdappears. I would apprecicate your help if possible. 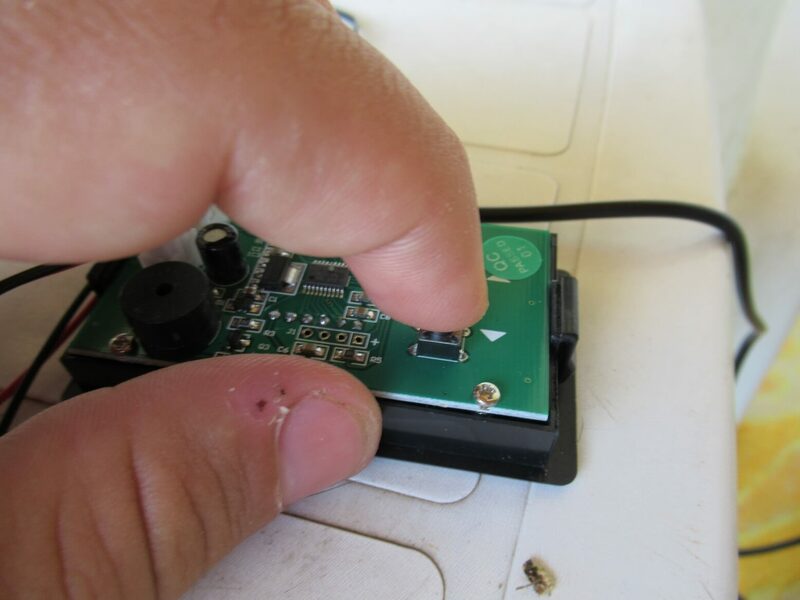 for high temp alarm touch “up” arrow and see 120 touch down button ..
muss have 12V power suply lower or higher i not recomend.. Thank you very much Ivan for your reply. I think the unit is faulty. I’ve decided to give up on it and might order another one. Just wanted to say a big THANK YOU for uploading the setup video. Ordered a 2nd unit from a different seller, and it still wont let me set the alarm temp like you managed in the video….. 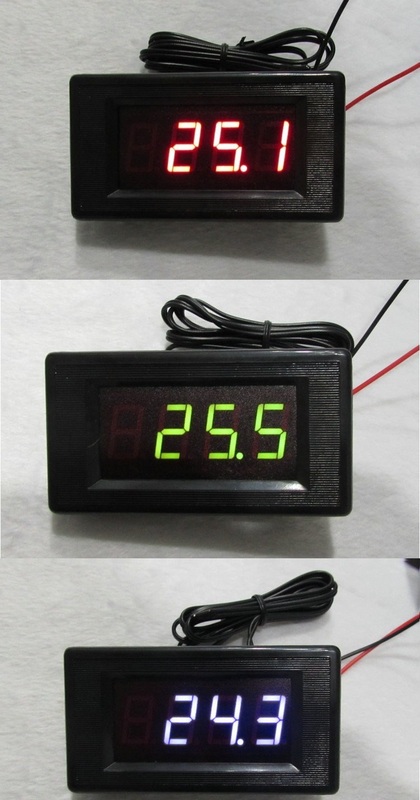 I guess I fell on a faulty batch…..
can send you video /pics, please maybe have bad power supply .. i ordered 40 pcs this thermometer (for shop and other) all work good..